The latest Humble Indie Bundle 4, which went on sale four days ago, now includes free soundtracks for every game in the bundle: Gratuitous Space Battles, Cave Story+ , Jamestown, Bit.Trip Runner, Super Meat Boy, Shank, and Nightsky HD. Those who have already purchased the bundle earlier, you can access your soundtrack downloads via the download link sent to your e-mail address. Now into its fourth volume, the Humble Indie Bundles are packs of indie games sold DRM-free at whatever price you choose to pay. 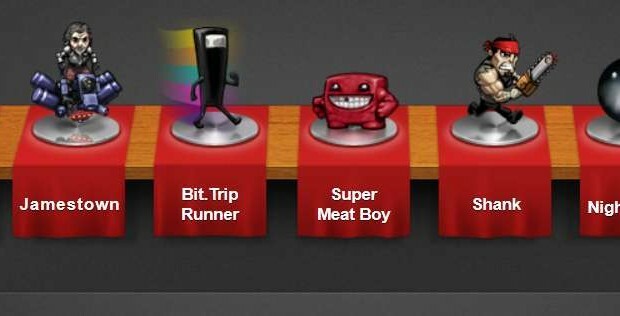 This is the strongest line-up of bundled games to date, with my personal favourites, Jamestown and Super Meat Boy, included. There’s absolutely no reason why you shouldn’t purchase this bundle at this great price. Even if you already own some of the games beforehand, you can still do your part to support two charities (the American Red Cross and Penny Arcade’s Child’s Play). The money you spend will be divided among the game developers and charities. The Humble Indie Bundle will continue to be on sale for nine more days, and has already raised more than US$1.5 million, with an average buying price of US$5.33. The highest purchases so far are from the members of the Humble Brony Bundle, with US$5,250 contributed. My Little Pony and indie games? Don’t ask me, but friendship must be magic indeed.